Introduced at the Paris Motorshow in 1954, the AG6/2000 came in Berlinetta, Barchetta and Spider variants and boasted 150bhp. Production of the AG6/2000 ran from 1954 to 1957 and it’s estimated that only 60 cars were built during this time – with coachwork available from Frua, Allemano and Zagato. The Zagato-built cars were purpose-built for competition racing and subsequently were popular in GT racing. They were so popular and successful throughout Italy in GT racing that they won their class in the 1956 Italian Championship, beating the faster-powered V8 Fiats. 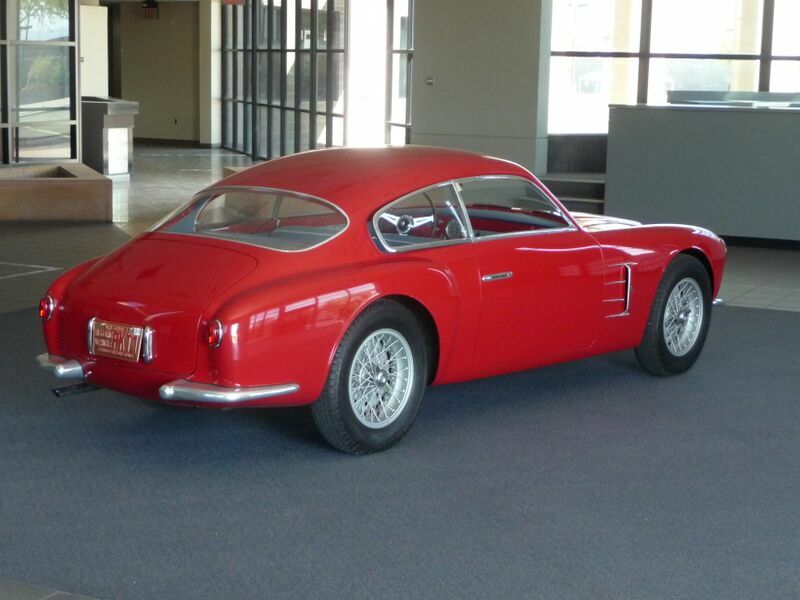 Overall, there were only 20 Zagato-bodied A6G coupés produced – six in 1955 and 14 in 1956. The car in question, which will be appearing at the Palace of Holyroodhouse at the Concours of Elegance, was sold new in 1957. It was raced in the same year at Laguna Seca and more recently it won Best in Class at Pebble Beach in 1996.